The Wreck Diver course comprises 3 open water dives; these are conducted over 1 day. On this course you will learn how to prepare for Wreck diving and will develop your dive knowledge and practical skills. Planning, organisation, techniques, procedures and hazard anticipation involved in wreck diving. To qualify as a Wreck Diver you must be at least 15 years old and possess a PADI Advanced Open Water diver certification or equivalent. 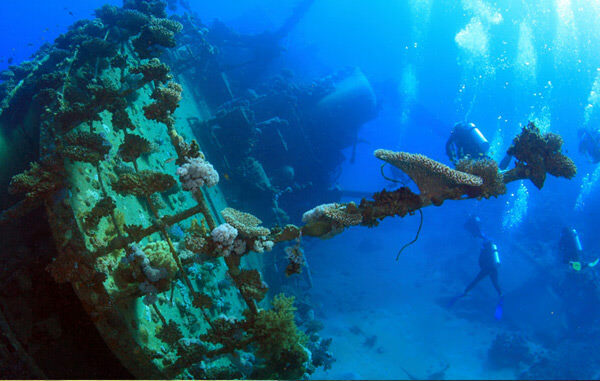 You will also need to have completed a Wreck Adventure Dive on your Advanced Open Water Course. You can count the Wreck Adventure Dive from your Adventures In Diving program as the first dive of the Specialty course This Specialty course certification also counts as one of five Specialty certifications required for Master Scuba Diver certification. Duration: 3 Dives over 1 day.